VCCP Singapore has appointed Andrew Hook (pictured) as regional executive creative director, leading the agency’s creative output for the agency’s global, regional and local clients. He was most recently chief creative officer at Havas Singapore. Hook joins with 18 years of experience in New Zealand and across Asia. Hailing from Auckland, New Zealand, Hook started his career at boutique shop Generator and moved to Singapore in 2005. Prior to Havas, he worked at Batey Ads and DDB, across a range of clients including Qatar Airways, Audi, Health Promotion Board and Tiger Beer. His leadership on brands also included Porsche, Bridgestone, Tokio Marine and Samsung across his career path. VCCP Singapore is the APAC strategic and creative hub for regional and global client requirements, and guides local market teams across Asia. VCCP is the challenger agency for challenger brands and believe the best, most effective advertising and marketing comes when every aspect of an idea works and runs through a business. VCCP works with brands such as Shell, Cathay Pacific, Canon, Mondelez International, O2 and Domino’s Pizza. 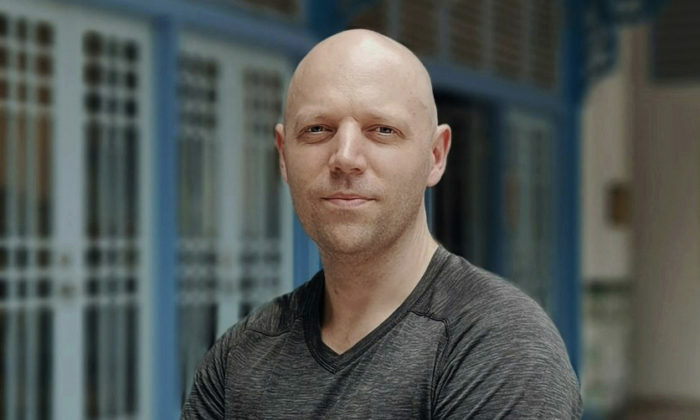 Newly appointed APAC regional director at VCCP Singapore, Craig Mapleston said that Hook is a “proven creative leader”, who has consistently delivered some of the best work out of Singapore for over a decade. “He’ll be the first to admit that you can only deliver great work by building a great team. We’re really looking forward to Andrew coming on board and building a world class creative team at VCCP Singapore,” Mapleston added. “I’m really looking forward to taking on the role of ECD at VCCP Singapore. The past 13 years in Singapore have been a huge learning curve and a really rewarding experience, and I’m keen to bring these learnings to bear in my new position, helping a highly-regarded challenger brand like VCCP break into a new market,” Hook said. “These kind of opportunities don’t come around very often – building out a new operation from the ground up – so I’m really grateful to be given the chance. We’ll definitely be looking for a great crop of people, with the right mix of talent, passion and the right attitude to help us bring it to life. I see it as a unique challenge and a great responsibility, and I’m rearing to go,” he added. In November last year, the agency also hired Lesley John as regional head of client services. She was tasked to lead the agency’s client relationships and drive the establishment and growth of the business. With 14 years of client management experience, John previously worked at agencies including M&C Saatchi, BBH and Arcade. The rise of women in the PR industry is well-known yet director of communications, and other top roles are still held mostly by me..